Porter Wagoner's long-running musical variety show that launched the career of Dolly Parton. Katie Price To Star In Dolly Parton Biopic?! 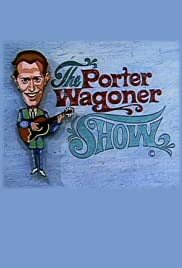 I remember watching the Porter Wagoner Show as a kid. As I grew, I thought country music was 'corny', but I was a fan of bands such as Charlie Daniels Band, Marshall Tucker Band, Outlaws, etc. Little did I know that I was born and will die a country music lover. Porter Wagoner was one of the greats, and an inspiration and influence to many of today's stars. My dad even grew up in Northeast Arkansas, home of Speck Rhodes and his family. The first people to see my dad after his birth was the Rhodes'. My dad even attended Speck's brother, Slim's funeral in 1966. Porter Wagoner set a standard for style with his shiny 'Nudie' suits; Artists and bands such as ZZ Top and Gram Parsons were inspired to wear the flashy suits after seeing Wagoner in his full 'Nudie' regalia. Country music lost a pioneer and a fine man when Porter passed in 2007.